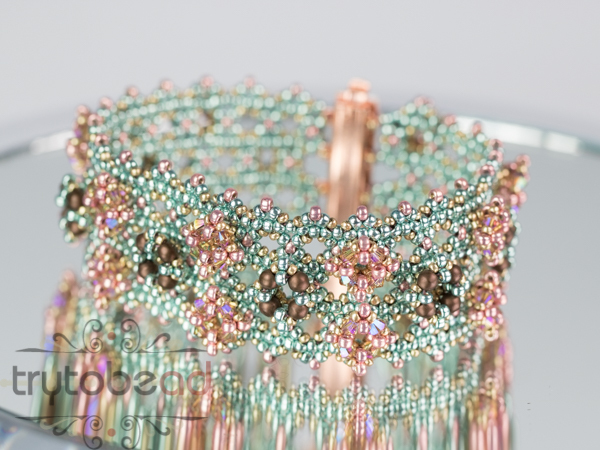 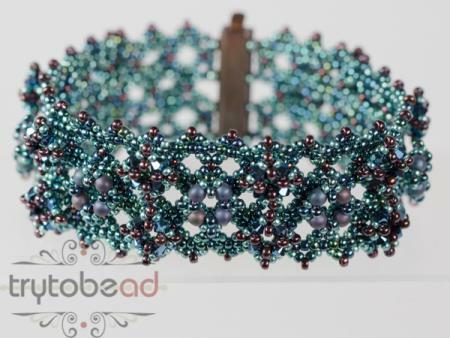 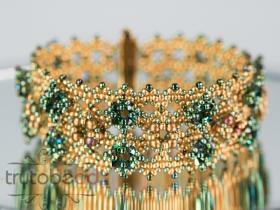 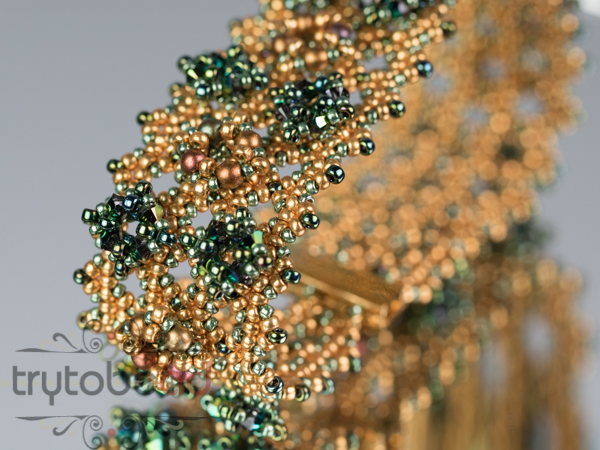 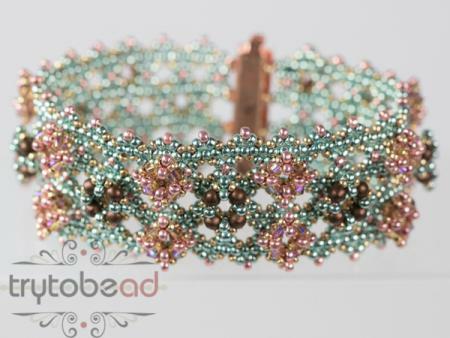 Required supplies: Round beads and bicone beads 3mm, Seed beads size 11° and 15°, sliding clasp. 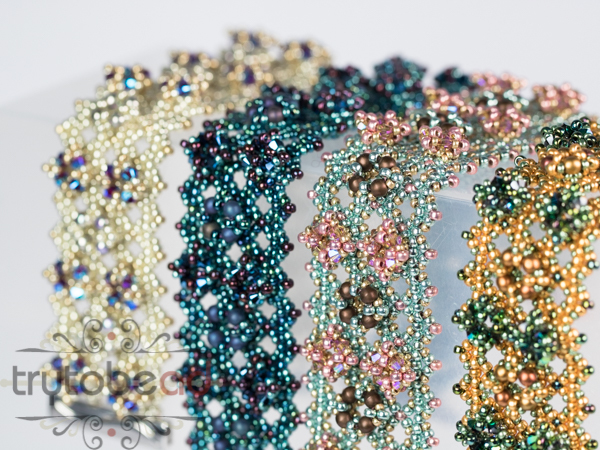 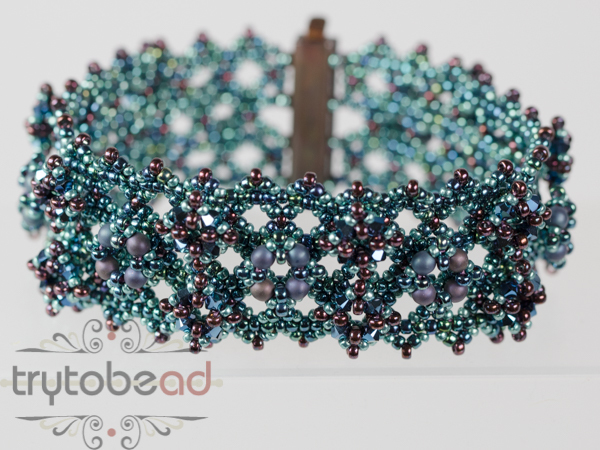 The matching kits for the pattern include all the beads and one clasp for a bracelet of at least 22cm. 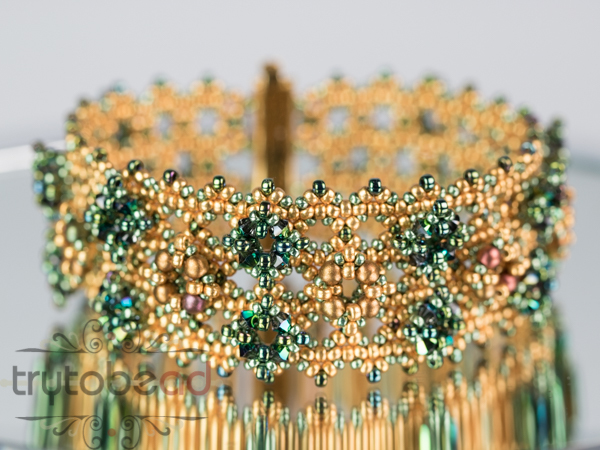 The clasp is from Claspgarten.